All day long, Wabsworth trailed the Wabbit through the city. But just as he'd thought about giving up, something happened. A curious creature emerged from a side road and it was clear that he too was following the Wabbit. He wore an elaborate cloak of many colours and from it came blue flashes that lit the damp air. "A Shaman!" breathed Wabsworth. The Shaman mumbled something - and thinking it might be an incantation, Wabsworth drew close and listened. But this was no incantation; it was a list of technical equipment. "A Pulse Detonation Engine is essential," muttered the Shaman. "Without a Pulse Detonation Engine, I cannot proceed." 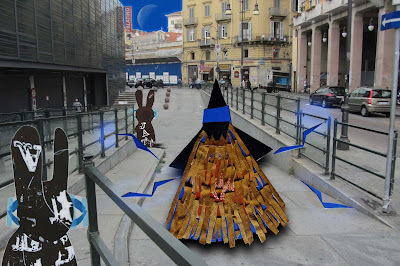 The Wabbit strolled on and the Shaman set off again. "There he is," muttered the Shaman. "He has antimatter hidden in his fur and knows where to find the correct detonator." The Shaman's voice dropped and Wabsworth struggled to hear. "He knows everything," breathed the Shaman. Wabsworth paused. He knew that the Wabbit could find most things but he didn't have a source of antimatter to paw. "Maybe he has some in his shed," said Wabsworth to himself, but it came out too loud. The Shaman stopped dead because he was a real shaman and still had confidence in his powers. "My Inner Spirit Guide speaks of a shed." 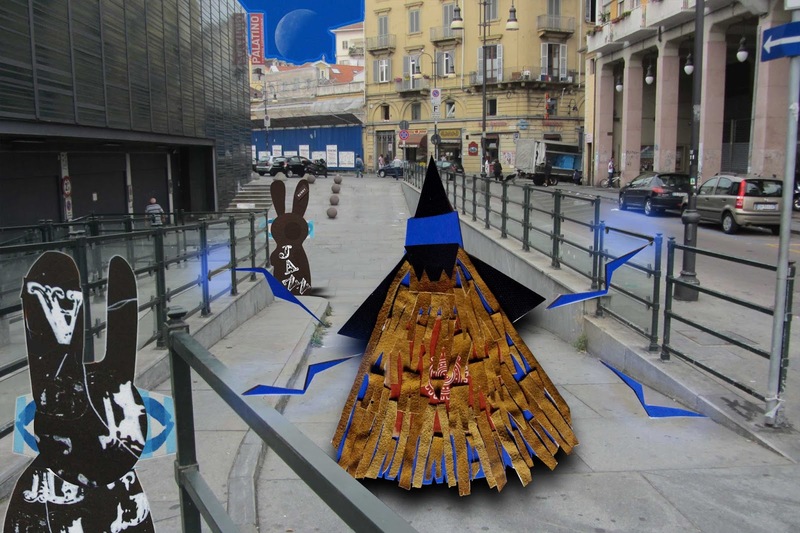 Now the Shaman pursued the Wabbit with vigour and Wabsworth scampered after them both. "I'd better look out for the Wabbit," he thought. "He might be in over his shed."